Home / Adam Cheek / Friday Faceoff: Should There Be More Stringent Requirements to Race in Cup? After the debacle last Friday when no one posted a speed in the final round of qualifying, should NASCAR change the format? If so, how? Adam Cheek: Yes. There’s two options: require the drivers to leave pit road by a certain time or go back to single-car qualifying. Both fix the issue of drivers not making it to the line, which we saw plenty of during the embarrassing session at Fontana. Requiring drivers to leave by a certain time would ensure that they at least complete one lap. Single-car qualifying simplifies it even more; plus, I think the smaller teams would appreciate the exposure. Vito Pugliese: I don’t really see what the big issue was. If you didn’t make it out for the third round and just parked at the end of pit road, how and why is that anyone’s problem but the teams themselves? The qualifying format itself kind of addresses this in my eyes; if you make even one lap, you’ve qualified. You may not ultimately start where you qualified, but if you are cutting it that close on the clock to go out, how is that any different if it was two-hour long endeavor, single car qualifying, and a team wasn’t in line to go once they were on the clock? It’s a self-policing issue, and I doubt we’ll see it again. Amy Henderson: It’s so easy it’s ridiculous: single-car qualifying. It worked for years to set the field fairly and correctly, and there was never any reason to stop doing it. Every second of every race weekend doesn’t have to be a WWE show. Putting aside the gimmicks for an hour or two to ensure that the race is set up to be the best race for fans is the answer. It’s time for NASCAR to realize they were wrong on this one and go back to what was never broken in the first place. Mike Neff: For the first time that I can ever remember, the fans actually booed the sport on Friday. It wasn’t a driver, it wasn’t a decision, it was simply the sport as a whole. Yeah, they need to do something. Either go back to single-car qualifying, even if you want to keep the knockout portion of it, or switch to heat races. It wouldn’t be that big of an addition considering we have stages already. Take your pick but something has to happen. Of the drivers who switched to a new team for 2019, which one is making the most of their new ride and who needs to step it up? Neff: Unquestionably, it is Kurt Busch. Your 2004 champion is the best performing Chevy for the season and looks poised to win multiple races this year. 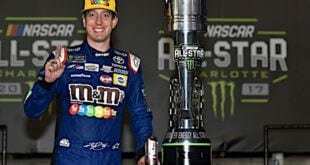 It would be amazing to see him race his brother for a title in Homestead and land the title with the biggest wait between titles in the sport’s history. As for who switched and needs to step it up, I give you Daniel Suarez. He’s in Busch’s old car and hasn’t shown much of anything to this point. He’s a talented racer and will most likely turn it around, but he’s looked far from how good Aric Almirola did when he came to Stewart-Haas Racing last year. Henderson: Kurt Busch without a doubt. 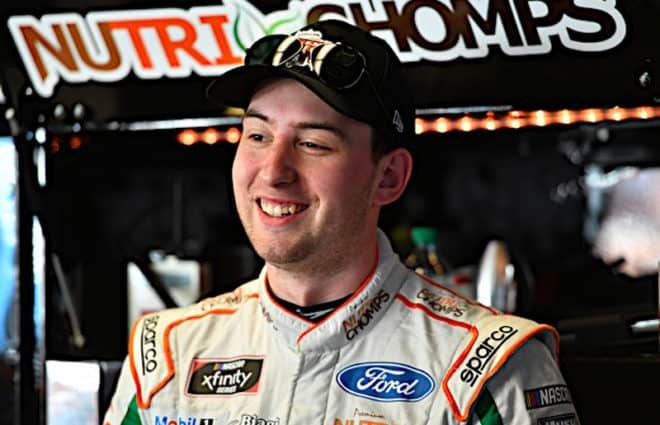 While his kid brother is taking the spotlight, Kurt has been consistent and has given Chip Ganassi two weekly contenders for the first time in the team’s NASCAR history. As for needing to step it up, Suarez is the easy answer, but there’s also Matt DiBenedetto. The No. 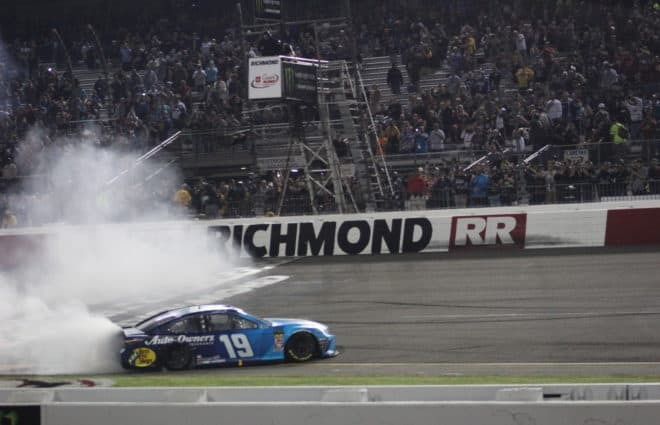 95 team has a new alliance with Joe Gibbs Racing, and while they’re not getting the same level as Furniture Row did, they do have a lot to prove. An 18th-place run at Fontana was definitely a big step, but they should have equipment capable of better than a 24th-place average. There’s a learning curve here–a driver has to learn how to race among better cars–but by the end of the season, we need to see just a bit more than we are right now. 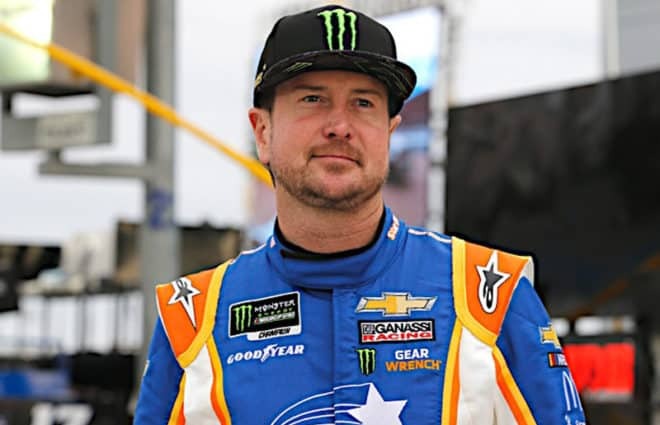 Gable: Earlier this week, I wrote about the fine start Kurt Busch and Chip Ganassi have had to the 2019 season. Aside from him, none of the new faces in new places have really stood out in a positive way. In terms of who’s struggling, I thought Daniel Hemric would be doing better. The No. 8 team’s only good run of the season was at Atlanta, and that race fell apart for them thanks to a late flat tire. With an average finish of 25.6 and no result better than 18th, things have been rough for Hemric. However, he is a rookie and will probably improve as the season progresses. Pugliese: Kurt Busch obviously is doing the best, carrying CGR and the bow tie brigade on his back the past few weeks. Kurt has had a history of immediately having an impact on whatever struggling program he becomes a part of. Remember how he almost won Sonoma in 2012 in the essentially unsponsored No. 51 James Finch machine – despite having ripped the rear end out of the car clipping a tire barrier? As for drivers that need to turn things around, many will point to Suarez, but after only a handful or races with this new package, I’m going to give them a pass. There are too many variables thus far into the season to pin it on one guy to identify him as the issue. I’d give them until Kansas before you start putting anyone on the hot seat. Cheek: Kurt Busch. He’s finished in the top 10 every race since Daytona, and has shown he can run up front for a while. Sooner or later, he’s going to win once or more in that Ganassi car and be a playoff threat. This could be a revival of the Kurt Busch of old. Honorable mentions: Ryan Preece and Daniel Suarez. In an interview this week, Tony Stewart spoke how he feels that young drivers should earn their rides. Should NASCAR implement a minimum age and/or experience prerequisite for the Cup Series? Cheek: Age isn’t as much of a factor as experience. To a degree, their requirements for certain ages at tracks is understandable, but experience is a key factor. Drivers with little to no expertise elsewhere shouldn’t be eligible for a part-or-full-time Cup ride. They should have a required number of starts in the Truck Series or Xfinity. Pugliese: No, that would be unnecessarily discriminatory, and it isn’t like we’re seeing the younger set washout and become nothings. Let’s remember the reason for the influx of young talent; they work cheap and have funding behind them, so as part of a business model, they make sense. Other than Ryan Preece, there aren’t really any heroic stories or someone that most fans might identify with. Like anything else with the sport the last few years it’s an adjustment period, and the pendulum will likely swing back the other way. In a sense it’s more refreshing to see new drivers every few years, rather than some veterans who continue to hang around just because….well, because they’re here. Henderson: Age, not necessarily, but I’d like to see them be a bit more discerning in the licensing process for Cup drivers for sure. There used to be a process: drivers could race only short tracks, then one-miles, and then bigger tracks. You don’t necessarily need to implement that at the Cup level, but for the lower series, absolutely. I’d like to see there be some sort of minimum number of races on each kind of track before a Cup debut. The last thing anyone needs is inexperienced drivers causing incidents in a Cup race because they aren’t ready for that level of racing. Not only is it dangerous, but in the long run, they get an unfair label of not being a talented driver, and it may hinder, not help any future career they may have. It wasn’t that long in the past that drivers weren’t even considered for a Cup ride until they were in their late 20’s at the earliest. Now we have veterans at that age…and a lot of drivers already washed up who might have had a decent career. Neff: Nope, we don’t need more regulation. What we need is Stewart and his fellow owners to police themselves. Stop giving plum rides to inexperienced kids just because they bring bags full of money. The owners can decide who they put in the seats and they are the ones to blame for the number of poor racers who are running in rides that are worth far more. Gable: Establishing age or experience rules is a bad idea. Every driver is different, and they all learn at their own speeds. 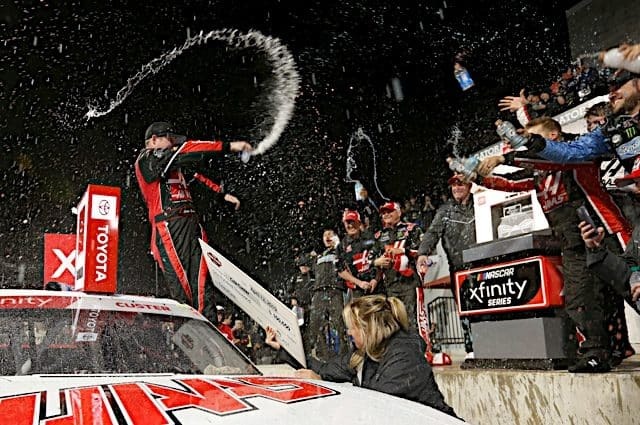 While we have seen drivers thrown into the Cup Series too quickly on occasion, there is no “one size fits all” plan for charting out a driver’s development. Aspiring drivers and teams that are trying to line up funding and sponsors may find that more top down rules regarding where and when they can race can just as easily be a nuisance. Or, a driver could get promoted to the next level before truly being ready just for the sake of having completed the experience requirement. Neither situation is desirable. 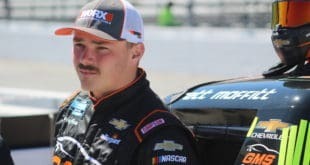 Based on the first three Truck Series races of 2019, who is facing the greatest amount pressure to get a win in order to make the playoffs? Cheek: Todd Gilliland. He came close to a couple of wins last year, but hasn’t gotten to Victory Lane yet. As we saw a few weeks ago, he’s definitely under a lot of pressure and he’s putting himself under a lot of pressure to get the job done on the track. He just needs a bit of luck and the right situation; the wins will come eventually. Gable: At this point in the season, there are still enough drivers close to the playoff cut line who have a reasonable of chance getting in via points. I’d say the drivers feeling the most pressure to win are the ones who will probably need a victory to have a chance at reaching the playoffs. The Young’s Motorsports drivers of Spencer Boyd, Gus Dean, and Tyler Dippel fit this description well. Young’s is not a week in, week out contender, but the team has improved enough that its drivers could challenge for wins this season. Any wins would be a huge boost for the team, but it would probably be the only way Boyd, Dean, or Dippel reach the postseason. 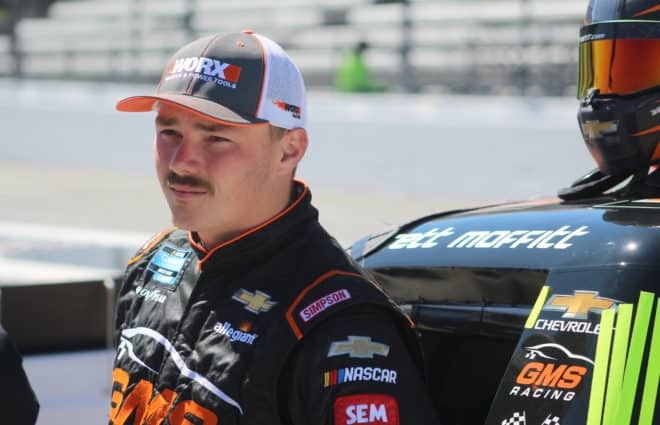 Neff: He is ninth in points, but it really is time for Todd Gilliland to take over a race and win. He’s in great equipment and it is time for talking to stop and results to speak for themselves. Henderson: Matt Crafton. Crafton has faded a good bit since winning back-to-back titles, and if he’s going to stay in the mix, he needs to pick it up, like, yesterday. 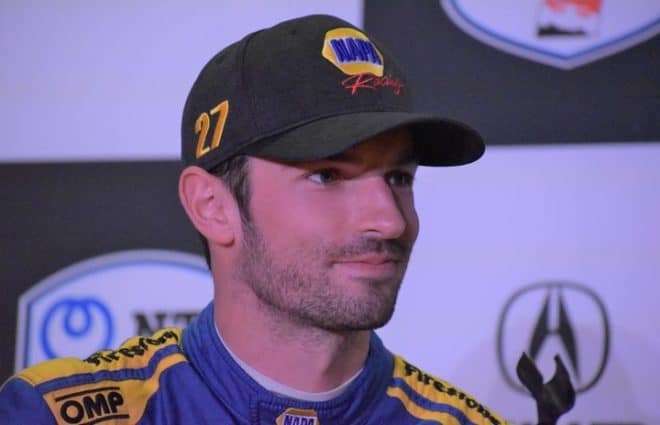 He’s one of the most talented drivers in the series, maybe one of the best ever, but he’s at a point where time is running out on a third title. He’s had two top fives in three races, but hasn’t looked like a winner yet. That’s a little concerning. Pugliese: Given the gross disparity in equipment within the Truck Series once you get out of the Top 10, I’d say Timothy Peters is probably one that needs to win to make sure he gets in. That’s not to say he was considered a championship threat coming into the season, but based on who’s in front of him and who he’s up against, a win is all but necessary for him to make the playoffs most likely. Its real simple practice from 9 till noon then time trials 3 laps per car then race . This works in every touring series I have been involved in but nascar wears everyone out working 24/7. Its no wonder it costs millions and millions . might want to ask who benefits from keeping it that way. Does it improve the racing? I dont think so either. Tony almost had it right. 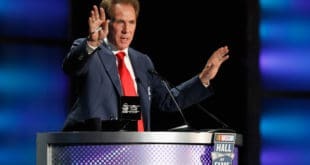 NASCAR should screen any Indy Car drivers who want to attempt to join NASCAR. Amy, your comments on qualifying are perfect. Personally, the easiest solution to the qualifying issue would be to run the two rounds of group and then the top 12 reset to zero (no backup speed) and do a single car qualifying session with those 12 cars. Only issue would be figuring out the fairest time lapse between 2nd round and first car out in the singles due to the time difference involved in 1st car out and 12th car out. I also would run the top 12 fastest car from 2nd round first and slowest car last to see if the slower cars can find speed. This also gives them a slight advantage due to longer wait. Only adjustments allowed, wedge/track bar and air pressures. Easy qualifying fix: kinda like the Playoffs, reset speeds (in this case, to zero) after each round. Don’t make a lap in the final round? You start last. Nobody makes a lap in final round? 13th qualifier (to that point) gets the pole based on fastest speed completed in their final round.